Farmers in Southern Africa are feeling the impact of consecutive seasons of drought. The battle against drought conditions is continuous as the region struggles to maintain a reliable water supply. For this reason, CP Automation helped Rockwell Automation to provide the necessary power equipment to pump water from deep, underground boreholes. Eco Projects was undertaking a 17 month project in Windhoek, the capital of Namibia, to alleviate a critical water shortage. Using boreholes, a deep, narrow hole made in the ground to locate water, the client pumped water to various reservoirs. This is to provide an accessible store of water for Windhoek. To power the pump system, Rockwell Automation delivered eight Allen-Bradley Powerflex 753 low voltage AC drives, varying from 250kW to 132 kW. However, to use these variable speed drives (VSDs) at depths of 150 to 250m, the company also needed to source sine wave filters. This is why the team reached out to CP Automation, which supplies and installs a range of sine wave filters for different applications. Sinewave filters are used where variable frequency drives are installed with extremely long motor leads, as used with the depths of these boreholes. Due to an impedance mismatch, a portion of a high frequency wave is reflected back in the direction from which it arrived. When the reflected edges encounter other wave edges, their values add, causing voltage overshoots. Sine filters reduce the edge steepness of the waves, meaning these edges can no longer accumulate. This prevents premature motor failure caused by damaging voltage overshoots. "Without these sine wave filters, safety and power supply would be compromised," explained John Mitchell, global business development manager at CP Automation. 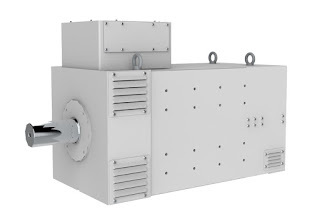 "The filters eliminate high frequency content and voltage peaks generated by the variable frequency drive, thereby reducing motor heating and extending the motor life. If these waves were not converted, voltage overshoots could have halted this incredibly important project for the Namibian community." "The long motor cable lengths meant the sine filters reduced parasitic capacitances," said Carlo van Heerden, Engineering Solutions Manager of Eco Projects. "The VFDs and sine filters created a winning combination, allowing the motor to run safely at continuously adjustable speeds, with adjustable torque for varying mechanical loads. "Working with CP Automation, and joining forces in the way we have, has meant that we could carry out this project safely and efficiently, helping the people of Namibia access reliable water supplies, with long-term protection." CP Automation may be carrying out a second phase on the current boreholes later this year, involving the installation of harmonic filters to reduce voltage distortion and to keep transformers cool and efficient for a long time. To find out more information about CP Automation's supply, installation and repair services, you can visit the website or call +44 (0) 1724 851515. The oceans have been around for roughly 4.5 billion years. They cover 70 per cent of the planet, but we have yet to explore 95 per cent of their depths. In a bid to further investigate the wonders of the deep, scientists have recently researched mining rare metals — such as copper, zinc and gold — from volcanic rock on the seabed. When a winch controlling a high-powered drill broke down on a ship mining samples off the coast of Japan, costing the company over $30,000 a day, the crew called maintenance and repair specialist CP Automation. Here, global business development manager John Mitchell discusses how CP Automation got the application running smoothly under strict time constraints. 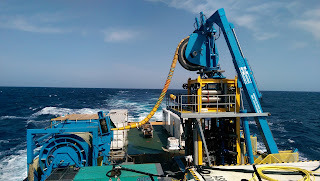 Due to the location of the mineral rich area off the coast of Japan, sample extraction has to be planned 20 hours in advance, in accordance with how high wave crests were. The rougher the waves, the more the drill moves and the higher the risk of damage to an incredibly expensive piece of equipment. Just before the company deployed the drill for the first time, faults with the winch began to appear. Onboard engineers found the problem to be a DC BUS overvoltage issue caused by the brake chopper. The engineers attempted to alleviate the problem by replacing the brake chopper like-for-like, but their attempts proved unsuccessful. After calling a representative from the brake chopper manufacturer, they agreed to fly out as soon as possible. Unfortunately, due to time constraints, this meeting was cancelled, leaving the project losing tens of thousands of dollars every day and those on board no closer to rectifying the problem. By the time the company contacted CP Automation, the drill had been out of action for two weeks and the crew were at wits' end. The winch system controls the deployment of the drill to the seabed, which could be up to 3km from the ship. The winch also provides under tension — keeping the cable taught during payout. The brake chopper unit, rated at 400KW continuous 600A and 600KW, 900A at peak, dissipates the excess DC BUS voltage fed back from the motor. If the winch cannot dump the energy created during this process into the braking resistors because the brake chopper has a fault, then the operator can't control the cable. This would result in the loss of a drill worth millions of pounds. It was therefore imperative that the brake chopper was reliable before the crew deployed the drill. 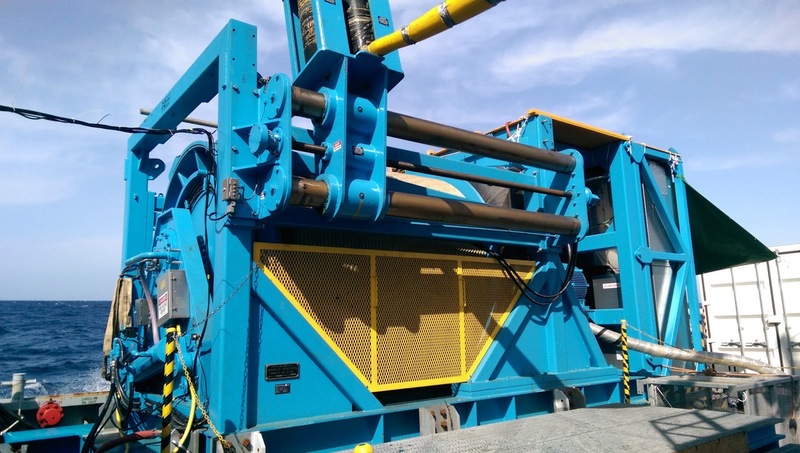 Once the drill is in the water, the application provides active heave, compensating for the wave movement by automatically driving the winch in the opposite direction at the same speed to stabilise the drill. 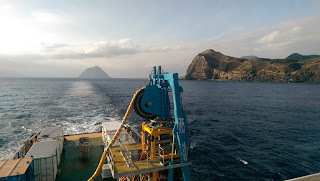 The drill has to remain at a constant height from the sea floor so that it can clamp in position. Because time was of the essence, CP Automation flew out to Japan as soon as we could. We powered up the application when the boat was docked and the brake chopper exhibited new sets of faults each time we tested. It was difficult to test under working conditions because we were unable to deploy the drill, which would work the winch motors. It was therefore impossible to tell if there were any electrical noise problems, which was our suspicion. 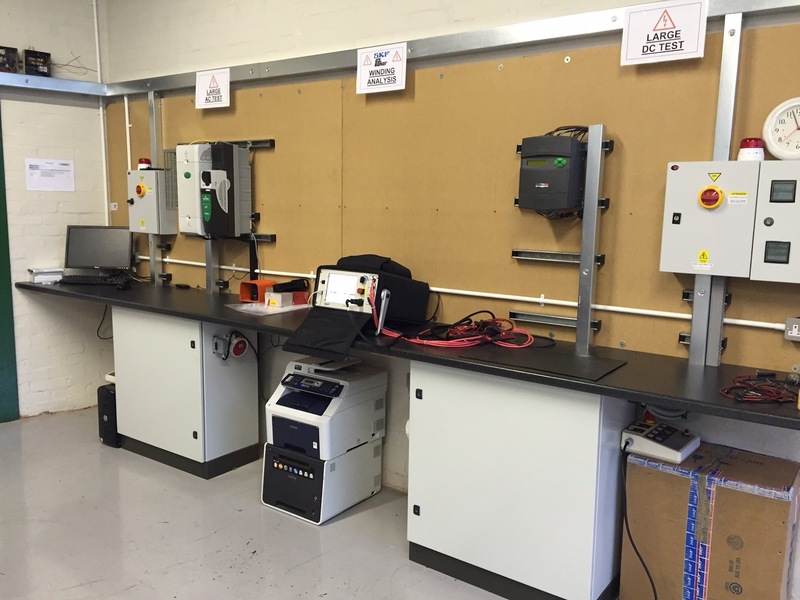 CP Automation removed the existing brake chopper and fitted its own 100KW unit into the system. The fault did not transfer to our product, but reoccurred when we reinstalled the old unit. Because the ship's crew identified a window when the sea would be calm enough to live test the drill, we were unable to carry out any more tests in dock. The new brake choppers CP Automation installed were each a quarter the rating of the original unit. Consequently, we had to limit the max speed of the winch until it was possible to assess the current required during payout and active heave. To fit the two brake choppers, we had to modify the control panel. This required us to split the DC BUS into two, with drives one and two on DC BUS one and drives three and four on BUS two. This provided the system with an element of redundancy it did not have before. There was now the option that, should anything go wrong, the crew could operate the system with only two of the four drives. After more tests in mild waves of 1.4m in height, the brake choppers were pulling 30A max per unit during active heave when the drill was at 750m from the ship. The DC bus level was maintained below 750VDC the whole time, which proved that the replacements were a proficient fix. The client deployed the drill five times throughout the twelve hours and the system ran smoothly every time. As far as we could tell, there were no more issues relating to the brake choppers and the crew were able to extract all the mineral samples necessary. After careful testing, we proved that CP Automation's brake choppers worked in the drill application because, unlike the original unit, our brake choppers did not use external power controls. This meant they are not susceptible to external noise. The previous brake chopper had no electromagnetic compatibility (EMC) or harmonic filter installed, so the resultant electrical noise from the drill application and those around it, caused the brake chopper to fault. Scientists, fiction writers and film directors often refer to the oceans as the last frontier because of just how little we know about their depths. Indeed, deep-sea mining is still only in its infancy; scientists predict that minerals could be in abundance under our unexplored seas, albeit difficult to extract. The drilling project CP Automation managed to revive is one of the first of its kind to sample valuable metals from tough volcanic rock. With the help of more research and investment, this method of mining could lead to a healthy flow of essential resources for years to come. CP Automation now supplies Vascat's latest addition to its industrial motor portfolio; the new MAC QTW motor range designed specifically for low noise applications. This product launch will be particularly relevant to end of line testing, which relies on silent conditions as part of the analysis of a product. End of line testing is a critical step in the production process. Defective products are separated from functional units by analysing the products vibro-acoustic behaviour pattern. This data provides crucial information regarding the condition of the product. However, any external ambient noise can corrupt this analysis resulting in unreliable results, which explains why a low-noise motor is required. "The MAC QTW motors have been designed specifically with test systems in mind," explained Xavier Palomar, sales and marketing manager at Vascat. "We want to increase reliability in end of line testing, and minimise false rejection of products." "If businesses are rejecting perfectly good products because of false negatives, then money is going down the drain," added John Mitchell, global business development manager. "Confounding motor noise will no longer be an issue with this new range. We are pleased to be maintaining our long standing partnership with Vascat as part of this unique product launch." MAC QTW motors are liquid-cooled, meaning they have higher efficiency compared with air-cooled motors. This further adds to the cost-savings already gained from reliable end of line testing. Added safety benefits also come from the IP23 protection rating and electrically insulated bearing within the motor. CP Automation also supplies Vascat's MAC QW motors for general purpose industrial applications. If you are looking to upgrade an industrial motor for a test system, or more general application, CP Automation is available to supply and install this motor on location. For more information about CP Automation's catalogue of Vascat products, visit www.cpaltd.net of call +44 (0) 1724 851515. CP Automation, is now a stockist for Magnetek, the market leader of crane and hoist systems. This alliance comes at a pivotal time for the crane industry, which is seeing a shift from cab controlled cranes to safer, radio controlled systems. Cranes can be fitted with both CP Automation and Magnetek products as an integrated package, including power delivery systems, radio remote control transmitters, motor gearboxes, failsafe brakes and variable frequency drives (VFDs). Together, these products allow cranes to move heavy structures with sufficient power, control and intelligence, as well as increasing safety with remote control. "The partnership brings together the right set of products to support the rapid growth of the crane industry at present," explained Andy Swann, business development manager EMEA at Magnetek. "Together we can provide a customisable, engineered system to match the most demanding of specifications, ensuring reduced load sway and load drops. "We are seeing more and more crane original equipment manufacturers (OEMs) moving away from in-cab operators and opting for radio remote control, whereby the operator is at a safe distance away from heavy loads. This means much more aggressive materials can be handled during a project, and the operator is kept at a safe distance, controlling the crane from afar." "Our stock of collision avoidance systems, AC & DC drives and radio remote control systems has already gone down well with our customers in the crane industry," explained Tony Young, director at CP Automation. "This coalition brings additional functionality that the crane industry has been waiting for, bringing together a collection of drives, resistors and crane-specific products that we can also fit, suing our trained engineers, if required. "Ultimately this arrangement is driven by a focus on safety for crane operators. With more companies choosing radio remote control systems over cab controlled systems, it makes sense to join Magnetek's market leading technology along with our own range of products to drive this mentality in the industry." Magnetek crane systems have a mean lifecycle of 28 years, reflecting its unmatched longevity and quality in the market. 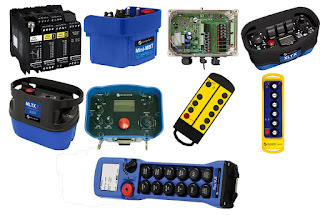 It you are a crane OEM, rebuilder, repairer or end user looking to source the collision avoidance system, radio remote control system and other associated crane parts, you can call +44 (0) 1724 851515 to speak to a member of the technical team at CP Automation. Fans don’t normally need a braking resistor and chopper but when they are operating in a closed system, a situation may arise where one fan will over-speed the next and the DC bus voltage on their motor drives will then rise. Here John Mitchell of CP Automation, reports on the case of GA Pet Food Partners in Leyland, Lancashire. External dynamic braking choppers are useful to drive manufacturers, panel builders and end users alike. A seventh IGBT (Isolated-Gate Bipolar Transistor) for the chopper in a six-pulse drive is one way drive manufacturers can reduce the cost of the product by rating the IGBT to a given torque and duty level. Some six-pulse off-the-shelf AC drives manufactured today have a seventh IGBT built in as standard. The calculation for sizing the internal brake chopper is not a difficult one, but getting accurate data in the first place can be. Some brake choppers on board a drive range from 25% to 100% ratings. And let’s not forget the fact that not all drive manufacturers fit a seventh IGBT above ratings of 22kW. To this end, where it is too expensive to change the installed drive or where regenerative energy has been overlooked, CP Automation offers a range of external brake choppers that covers 99% of application needs up to 360kW peak, 100kW continuous. Available in nine models across three frame sizes, there are several options to set the threshold to the desired switching level, along with fault output and master-slave options to chop higher power levels. External brake chopper units should allow for a fit and forget procedure. During emergency stops the unit will still function – because it is powered by the DC bus and not by an external supply. These were key features for a fan application at GA Pet Food Partners. GA Pet Food Partners works with some of the biggest pet food businesses in the world. However, it doesn’t manufacture an own label product because it doesn’t believe in having an own brand. It sees itself as a partner, not a competitor, to its customers. From concept to launch and storage to dispatch, the company claims it partners with more private label pet food brands than any other pet food manufacturer, making it easy and profitable for pet food brands to launch and grow their business. GA Pet Food Partners operates an environmental extraction system comprised of three parallel 185kW ABB Motors spinning the Halifax fans cascading into smaller fans, and was encountering difficulty in decelerating the biggest of these units. The effect of over-speeding becomes cumulative the more fans there are in close proximity on a factory floor. The three large fans are controlled by Allen Bradley Powerflex 753 variable speed drives (VSDs) from Rockwell Automation, which count among their features predictive diagnostics to extend the life of cooling fans. “In an environmental extraction system, if a fan runs too fast, it either pressurises air too much at one end or creates suction at the other,” explained Jayne Whittaker, engineering director at GA Pet Food Partners. The new GA Pet Food Partners factory is home to the most technically advanced extrusion plant in the world, making some of the finest super premium dry pet foods. GA Pet Food Partners has invested in the world’s first thermal twin extruder, which allows it to include very high levels of fresh meat in premium dry pet foods without the use of dry meat meals. With four extruders, the company has a production capacity of 100,000 tonnes of super premium pet food and can make batches from 3-200 tonnes to suit small or large brands, delivering the same quality and consistency whatever the batch size. A reliable electrical equipment provider should have a clear understanding of the application as a whole, the machine itself and the components. This way, CP Automation is able help make the manufacturing process more efficient, more cost effective and more sustainable in every sense. There is a real danger in the specification of inverters for use in heavy-duty applications. Fresh from the manufacturer, most drives — even ones with onboard brake choppers — are not rated sufficiently for the braking demand of the application. Here, John Mitchell of CP Automation, discusses the benefits of using a universal brake chopper that works with any inverter. Non-specialist engineers face an extremely complex task when asked to choose the correct inverter, resistor and brake-chopper combination for a project. To help counteract this problem, CP Automation recommends using an external brake chopper unit that simplifies the process of inverter selection. Where an inverter doesn’t feature a built-in brake chopper, the new CP Automation unit, manufactured to the highest standards, supplies that functionality. It’s a universal model that works with any inverter, from any manufacturer. However, the fact that a product is universal doesn’t simplify the selection process by itself. You also need to ensure that you choose the right integration and maintenance partner, so you are not tied into a limited range of drives from a limited range of manufacturers. A good maintenance partner will provide an honest view of whether you already have the correct resistor and, if you don’t, supply one as part of a package to help meet your specific objectives. For instance, if the original inverter already has a brake chopper onboard it may be that the Ohmic value of the existing resistor doesn’t meet the criteria of the new one. This can lead to damage to the drive system and its environment and in worst-case scenarios, create health and safety problems. CP Automation's universal unit is very flexible and extremely simple. The maintenance engineer simply connects two wires from the drive’s DC Bus and two wires from the resistor, and the system is up and running. An additional benefit of the product’s universal nature is that, should you install a brake chopper and inverter package and the inverter then fails, the end user can simply install any drive, from any manufacturer. The brake chopper and resistor package doesn’t tie the user to certain equipment, as the equivalent bought direct from the drives manufacturer would. This means manufacturers can bring a production line back to full service quicker than if the brake chopper and resistor package worked with only one inverter model. It is also possible to re-deploy inverters in use on less critical equipment to mission critical applications without fear of incompatibly. CP Automation's brake chopper even finds applications in motion control drive solutions, where it is equally applicable due to the common DC bus. A DC bus drive system configuration provides users with significant advantages including design flexibility, higher efficiency and inverter power sharing as well as cost savings. These are realised through reduced cabling and fewer components — such as resistors and thermal devices. CP Automation routinely keeps extensive stocks of brake choppers in its warehouses, with the smallest unit being 11kW continuous, 33kW peak, and the largest being 100 kW continuous, 360kW peak and users can parallel up above this to create BC units greater than 1MW. 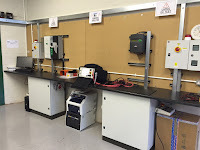 In the drives industry there is a genuine belief that all AC inverters are created equal. This situation is exacerbated by the fact that inverters are often bought as commodity items, much like control gear. But the reality is that, at least with regard to dynamic braking, this couldn’t be further from the truth. Many drives manufacturers design and build their products with a seventh Insulated-Gate Bipolar Transistor (IGBT), in the form of a brake chopper, incorporated into the device. Here, John Mitchell, global business development manager of CP Automation, looks at the dangers of taking your IGBT for granted. Manufacturers often include a brake chopper up to a certain size of inverter, but beyond that size, they will expect customers to use an external unit. However, to reduce the cost of the drive to the end user, the seventh IGBT isn’t necessarily rated to the full power rating of the drive itself. Most inverter manufactures will argue that the cost benefit of not rating the IGBT to the full capacity of the drive is more than worth the loss of braking capacity. Furthermore, there is an argument that this is a legitimate design decision - manufacturers will claim that a very high percentage of end user applications don’t actually the full braking capacity. In very light duty applications, such as emergency stop applications for instance, underrating the built in brake chopper wouldn’t be a problem. In fact, anything that is up to ten per cent duty will be very unlikely to suffer any kind of issue at all. In contrast, any kind of application where the drive system has to stop and start regularly, such as an elevator or conveyor, needs to pay more attention to the brake chopper. The real problem is not the manufacturer’s decision to install a low capacity IGBT but the decision not to make this information very clear in the manual and the accompanying documentation. The key point in any application is that the mechanical stopping of the load is just as important as selecting the drive system. For instance, a fifty-metre crane that lowers at half a metre per second will clearly take 100 seconds to lower fully. It may only do that twice a day, but when it does, it is operating at full capacity - not 30 per cent or 50 per cent. From a chopper and resistor point of view, that is a continuous period that the drive's onboard brake chopper couldn’t cope with. The drive manufacturer might argue this only represents 20 per cent duty, but that’s where the application knowledge of the integrator or maintenance team becomes crucial. During the 100 seconds of descent, the application is dumping more and more energy and the resistors are getting hotter and hotter. It could be quite dangerous to attempt this kind of application with an inadequately sized internal seventh IGBT. The bottom line is that brake choppers should be sized for the worst case, not the cumulative case. If you're worried you might be ignoring your drive applications, get in touch with your friendly automation maintenance and repair specialist today. CP Automation now distributes and fits the REVCON boost converter module RSU as part of its range. 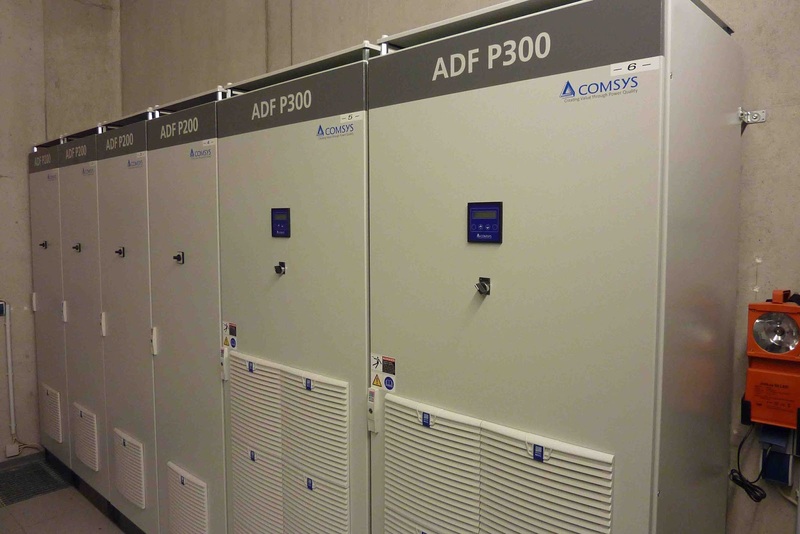 This unit enables highly efficient uninterruptable power supply (UPS) of variable frequency drives (VFD). This compact power unit has huge cost saving implications for anyone that uses power loss ride through in their processes. 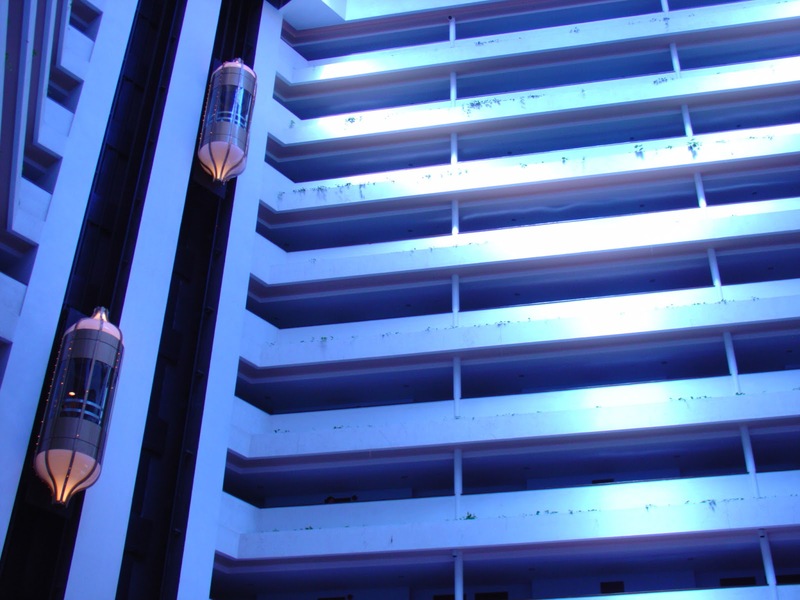 UPS systems provide an electrical supply that is converted from batteries when the mains supply is lost in situations such as brown outs, unstable supplies or emergency lift evacuations. The REVCON boost converter module RSU is set to change the way factories maintain their power supply. "Traditional UPS systems lead the power to the VFD through the complete UPS application, even when power supplies are operating normally," said John Mitchell, global business development manager at CP Automation. 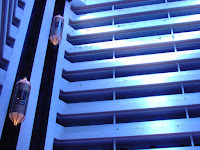 "This results in unnecessary power losses due to rectification and invertation of the voltage. "By adding a REVCON boost converter to the system, the UPS remains inactive when power supplies are working normally. This means the VFD is supplied directly by the mains, rather than having the middle-man UPS system causing unnecessary power losses." 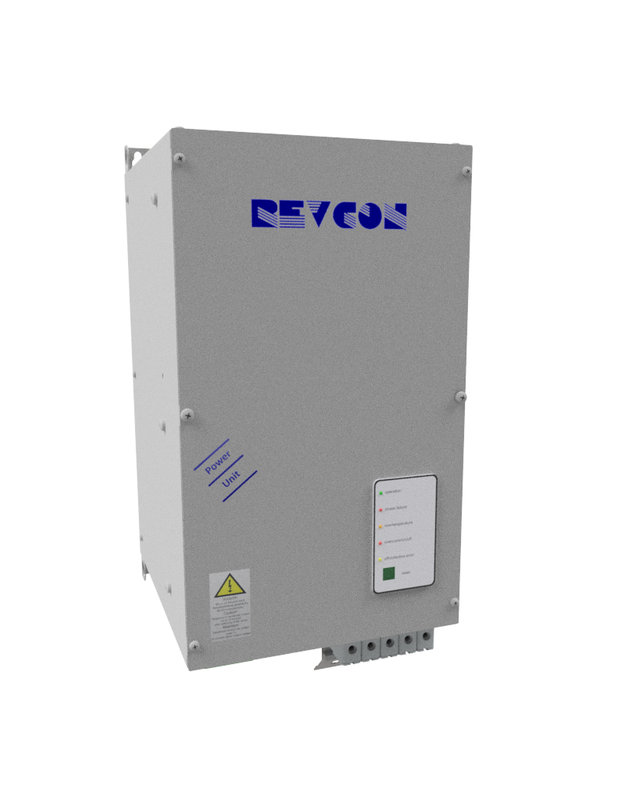 When the mains power supply is down, the REVCON boost converter is activated and sets the voltage value from the batteries to the required level of the VFD. This maintains the power supply in the DC bus to the VFD, without any interruption. This simple principle enables a highly efficient, yet inexpensive option for uninterruptable power supply to VFD drives. While conventional UPS systems have an efficiency of 90 to 95 per cent, adding a REVCON boost converter means the UPS setup will have efficiency greater than 99.5 per cent. This has huge cost saving implications for a range of industries that use power loss ride through in their processes. CP Automation is available to supply and install the REVCON boost converter module RSU. For more information about CP Automation's catalogue of REVCON products, go to www.cpaltd.net. Modern electric motors may be more efficient and reliable than their ancestors, but they can still fail sometimes. Here, Martin McGuffie, service manager of Euroserv, sister company of CP Automation, explains the three common causes of electric motor failure and how maintenance staff can reduce the impact equipment failure can have on business. How long do electric motors actually last before they break down? The answer is often disputed, with some manufacturers stating 30,000 hours and others suggesting they can power through for up to 40,000 hours. However, most manufacturers are in agreement that electric motors last much longer when maintained properly. Understanding the state of an electric motor’s health requires a range of tools and techniques, as well as thorough record keeping and regular maintenance. This allows the engineer to identify trends or weak points more easily. Nearly half of electrical failures in motors begin with weakening of the insulation around individual wires in the motor coils. This is often caused by thermal stress, contamination and movement of the winding due to the magnetic forces during start-up and shut-down of the motor. Overheating can also cause the winding insulation to deteriorate quickly — for every ten centigrade rise in temperature, the insulation life is cut in half. Overheating can occur when the power quality is poor or when an electric motor is forced to operate in a high-temperature environment. Contamination is another one of the leading causes of motor failure. Contaminants include airborne dust, dirt or any abrasive substance that finds its way into the motor. When they come into contact with the motor, foreign bodies can cause denting of the bearing raceways and balls resulting in high vibration and wear. Luckily, preventing contamination is fairly easy. Main sources of contamination include dirty tools, work areas and hands. Motors can also be contaminated by foreign matter in lubricants and cleaning solutions. Engineers should keep work areas, tools and fixtures clean to help reduce contamination failures. Also, when laying out the space, companies should try to keep motor assemblies and operation areas away from grinding machines to reduce the amount of foreign bodies that might contaminate the motors. A well-planned preventative maintenance programme is the key to dependable, long-life operation of motors and generators. It also helps reduce unscheduled production stoppages or long repair shutdowns. The first step towards preventative maintenance is understanding how often tests need to be carried out on the motor. This varies, depending on the age, condition and quality of the machine, as well as the environment it operates in. Static tests are an easy method of identifying weaknesses within the motor winding. The tests focus on winding and insulation resistance, as well as turn-to-turn and phase-to-phase insulation condition. With the right equipment, these tests can be performed without taking the motor off site, thus minimising downtime. Motor testing and analysis equipment, such as Euroserv’s SKF Static Motor Analyzer Baker DX, can survey all insulation and windings in AC and DC motors, coils and generators. During a site visit, Euroserv attends with the all-in-one tester, providing customers’ maintenance staff an analysis of the condition of the impedance, capacitance, phase angle, resistance, insulation and step voltage. Motor failure can cause downtime, meaning companies can lose thousands of pounds every minute when operations are stopped. Instead of exposing themselves to downtime, customers should request regular motor testing and analysis, ideally every six months, to ensure their electric motors are healthy, efficient and reliable. To find out more information about the SKF Static Motor Analyzer Baker DX, get in touch with Euroserv here. In 1976, it was discovered that the bacteria causing Legionnaires disease, an atypical strain of pneumonia, had always been present in water, but it was the precise temperature of the water in heating, ventilation and air conditioning systems that facilitated the bacteria’s maximum reproduction levels. This is just one example of the unintended consequences of technology. A similar and more recent story comes from the world of industry and features the growing problem of harmonic currents and utility level voltage distortion, as a result an increasing number of non-linear loads in industrial and commercial environments. Here, John Mitchell, global business development manager of CP Automation, shares his top tips for companies that want to commission or replace harmonic filters. The first thing you should decide is whether you need a passive or an active harmonic filter. The traditional option is an electro-mechanical or semiconductor controlled passive filter, used to minimise power quality problems in the network. These filters operate mainly on a fixed basis and are tuned to a harmonic order close to the order to be eliminated. Often new equipment is specified to meet a THID%, but the problem for many plants is they do not know how bad their site is already. It’s almost like fixing a sticky plaster to a deep wound. Instead, companies should look at what is physically and commercially viable in the long term. When making a decision, you can also consider a mixed solution. By fitting passive filters on many applications, you should be able to add a smaller active solution, which can save a lot of costs depending on the plant. One drawback of passive filters is that they are most efficient when the load is operating above 80%. On the other hand, active harmonic filters continuously monitor the network and inject exactly the right amount of compensation current when it is needed. The filter compensates the harmonic current or voltage drawn by each load. This allows current waveform to be restored instantaneously and lowers current consumption. For installations in which current load changes constantly, active harmonic filters work best. They can filter harmonics over a wide range of frequencies and adapt to any type of load. Regardless of what type of harmonic filter you decide to use, make sure it has the relevant UL certifications for the environment in which it's going to run. If unsure, you should always refer to an expert. 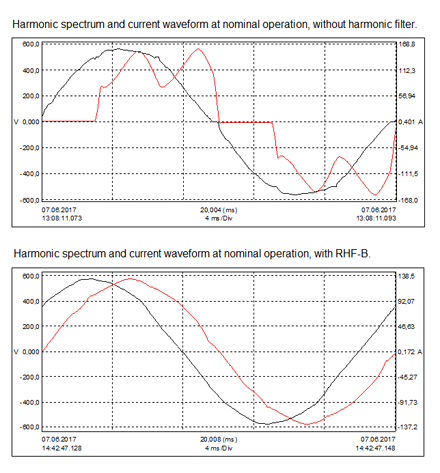 Before commissioning a harmonic filter for your application, it’s important to assess the entire system, calculate the harmonics and size the right solution for your specific set up. It is not enough to look at one troublesome application individually; instead, you need to look at the plant or entire operation as a whole. Often what looks like the problem can actually be an effect rather than a cause. Companies should identify and understand all the components installed on site when it comes to both linear and non-linear loads. They should also be aware of the transformer size and the rated short-circuit breaking current. Only after understanding the system in its entirety, can a company make an informed decision on what type of harmonic filter it needs, as well as what capacity and additional features the filter should have. CP Automation recommends performing a survey of the plant and capturing as much information as possible over several days. After this initial analysis, we can recommend the most appropriate product and install it without significant disruptions. After the harmonic filter has been live for a several days, another survey should be performed to check if all problems have been resolved. This ensures the product is appropriate and it gives companies real peace of mind. The increasing levels of harmonic currents in industrial and commercial applications are certainly an unintended consequence of rapid technology uptake. Luckily, like the Legionnaires disease bacteria problem, the solution is simple, sustainable and inexpensive. Moreover, if you’re unsure of what harmonic filter your system needs, help is never too far away. Did you know the invention of robots dates back to XVth century? When Leonardo da Vinci explored the idea of the human body as a machine, he came up with a robotic knight - medieval armour designed with gears, wheels, pulleys and cables that allowed it to move its arms and legs. Premature inventions like this one populate the engineering landscape to this day, often when it comes to energy-saving technologies such as regenerative braking. Here, Tony Young, owner director of CP Automation, explains how easy it can be to make industrial applications more energy efficient by using regenerative braking. One solution suitable for many industrial applications, particularly in heavy engineering, transport, mining, the elevator market and other applications that involve a lot of braking and restarting is regenerative braking. When braking, an electric motor generates energy that can be used immediately in the local grid and thus reducing the draw from the mains supply. In effect, this means turning your motor into a generator, converting mechanical energy into electrical energy, which can be fed back to the local network. The mechanism is extremely common in electric and hybrid vehicles where the energy is stored in the batteries and works particularly well in urban environments, where drivers tend to brake often enough to generate a lot of energy. Lesser known applications of regenerative braking can also be found in industry. 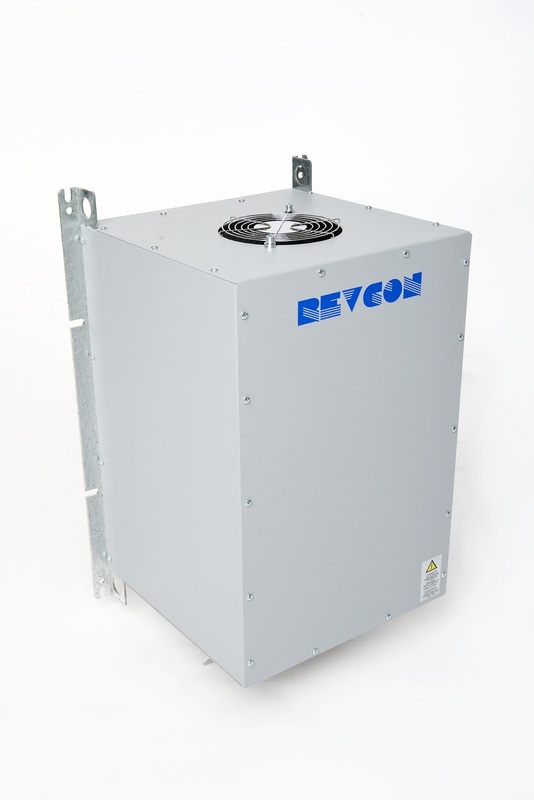 By using a regen unit like RevCon in engine test stands, transmission, escalators, power plants and many other applications that use continuous braking, you can regenerate the braking energy of the driven system, and feed it back into the network. Regen power can be sized to the application; for a 90kW drive, for example, a 30kW regen unit could be suitable - because it rarely brakes at full capacity. The capacity range of regen can vary anywhere between 4kW and 300kW – the higher the capacity, the bigger the savings and the faster the payback. 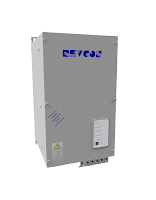 A good regen unit should work with any AC drive and should be easy to retrofit to any inverter, irrespective of design or manufacturer, due to its non-software driven installation protocol - plug and play so to speak. RevCon can use a feed-in tariff similar to the ones found on domestic and semi-commercial wind turbines, to allow companies to charge the electricity supplier for the excess returned power, should the building not use the energy locally. So why isn’t regen braking used in more industrial applications? Although the cost of regen units has gone down significantly over the last few years, they are still much more expensive than some of their alternatives. Like many other technologies that were ahead of their time, regenerative braking is likely to increase in popularity in the next few years. To stay ahead of the curve, companies should investigate the benefits of the technology sooner rather than later.